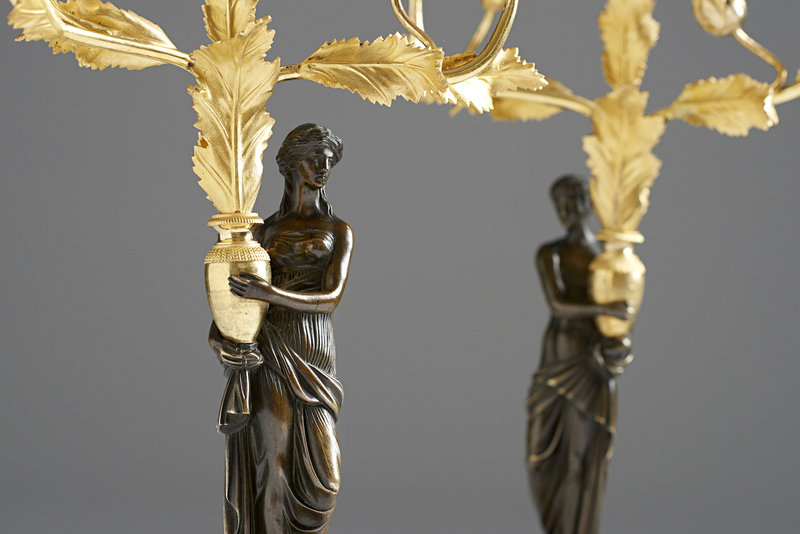 A pair of patinated and ormolu bronze three-light candelabra, late 18th century. 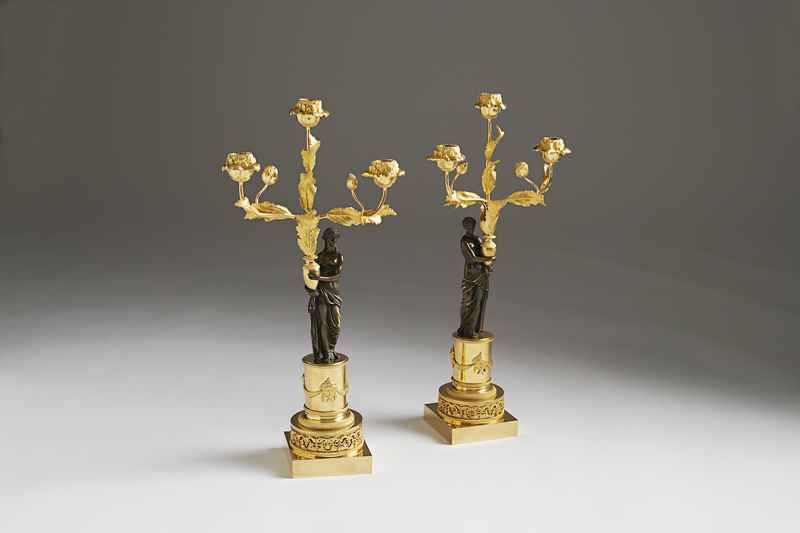 Each candelabra centered with a cast figure holding a urn issuing leaf decorated candle arms terminating in floral candleholders. Raised on a circular decorated plinth on a square base. 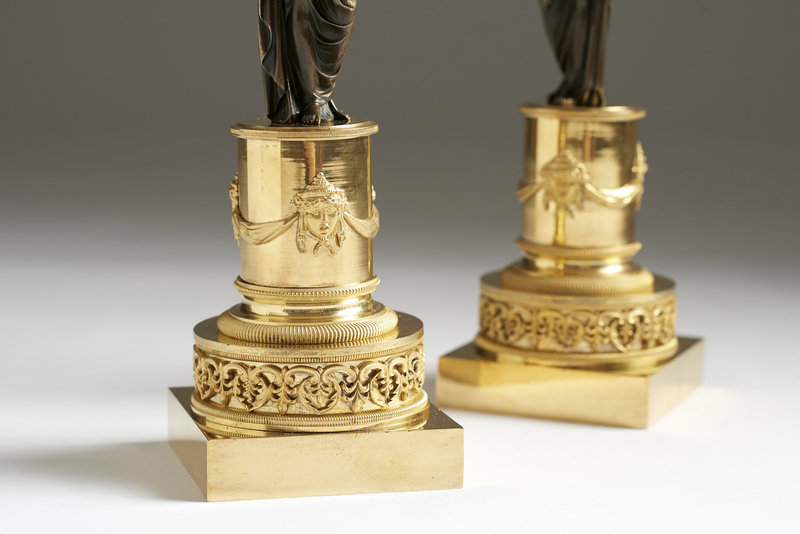 Louis XVI, third quarter 18th century.